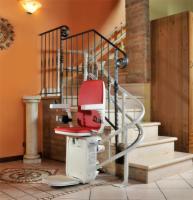 Call (800) 347-8554 for buying advice and our lowest prices! 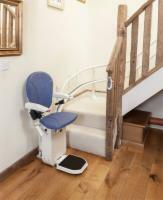 This used model is an incredible value that will provide you with a custom fit stair lift that is covered by the nation's best warranty! 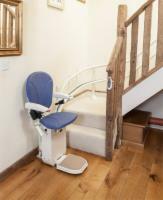 Our most impressive stair lift yet. Custom rails for your unique staircase! A quiet drive train with an excellent warranty easily transports users up to 352 pounds.